Established in 2007, Sandcastles Dubai Property Portal and Apps advertises property from real estate agents and brokers located in Dubai, UAE. Listings are updated multiple times each day to ensure we have the most accurate inventory to buy or rent in the market. Over the past few years Dubai has developed into a world class city. Property prices have risen better than expected following the 2008 financial crisis. Dubai continues to grow its infrastructure adding more terminals to its airports, more metro and tram services across the city. Sandcastles.ae is all about Dubai property we work with the best real estate brokers who in turn list all their properties on our website and our mobile app. Together we are developing a smarter property search. 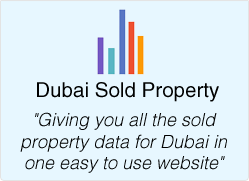 Sandcastles.ae has the leading property app for iPhone, Android smart phones and iPad users. The 'Sandcastles Dubai Property Search App' presents a unique view of the property market on the move. Features include daily Push notifications, Market data, multiple currencies, augmented reality camera view and much more. The app is a free download from Apple App Store or Google Play search for 'Sandcastles Dubai Property'. Sandcastles.ae is also the moderator of the ‘Dubai Property Community’ on Google+ we encourage property investors and real estate agents to join the community, share ideas, views and discuss the market. We would love to hear your thoughts on how we can all work together to improve the property market. Launched in April 2014, MLS by Sandcastles.ae is a multi-listing system for real estate brokers find out more about MLS on the dedicated website.